Potters Cottage was a Victorian initiative that involve some of Australia's mot interesting potters. 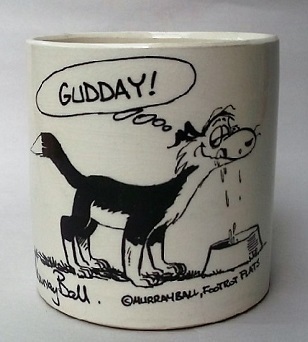 I find this pot at the monthly collectibles fair nearby and assume the seller didn't recognise the name as it was a bargain price. 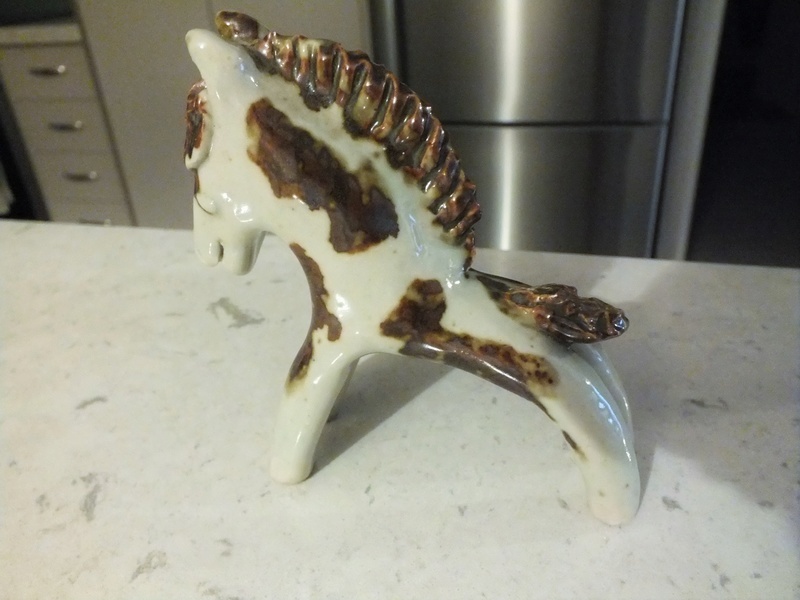 Its a brilliant idea of yours to offer a few insights on newzealandpottery.net into what went on in Australian ceramics post-war. I find it very easy to slip into a cosy NZ-centric space, which may be understandable but is a little lazy I think. 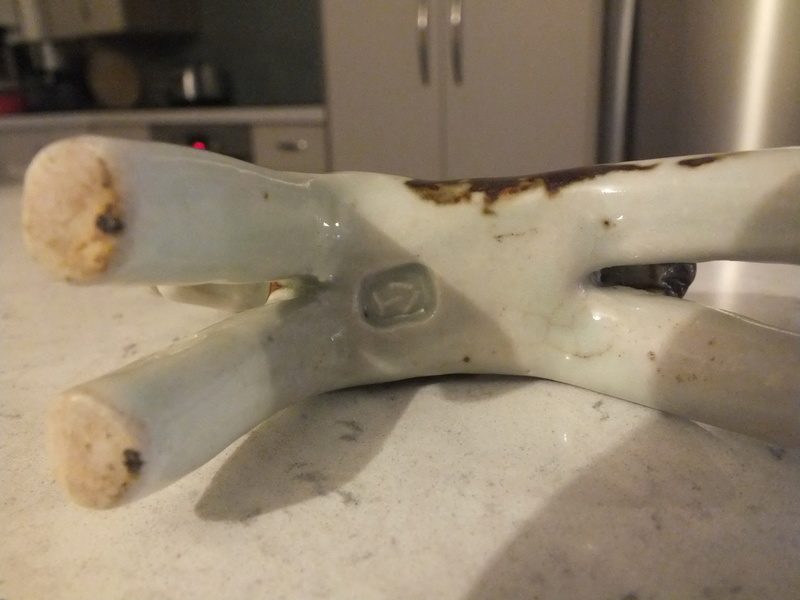 One day someone is going to write a comprehensive comparative history of post-war Australian and New Zealand studio ceramics (and perhaps even South Africa as the cast of 1930-1955 British guiding hands and institutional genealogy was the same). I imagine the differences will be as interesting as the similarities. This job has just (2014) been done for New Zealand studio jewellery by Damian Skinner and Kevin Murray - Place and Adornment: A History of Contemporary Jewellery in Australia and New Zealand. Well worth getting in my opinion. This is a figure I found this week in Hamilton. 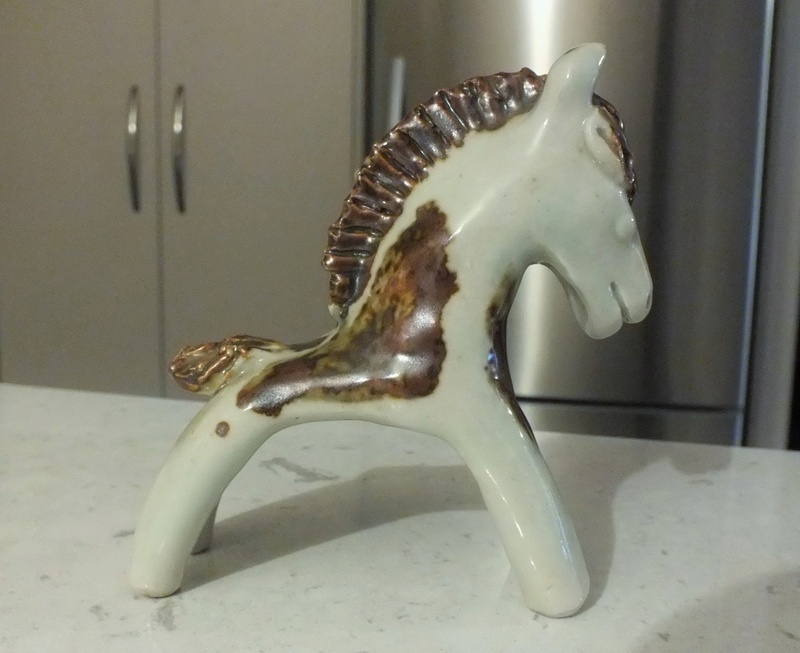 I think it may be an early 1960s piece by Dorothy Hope at Thrumpster Village Pottery, Port Macquarie. 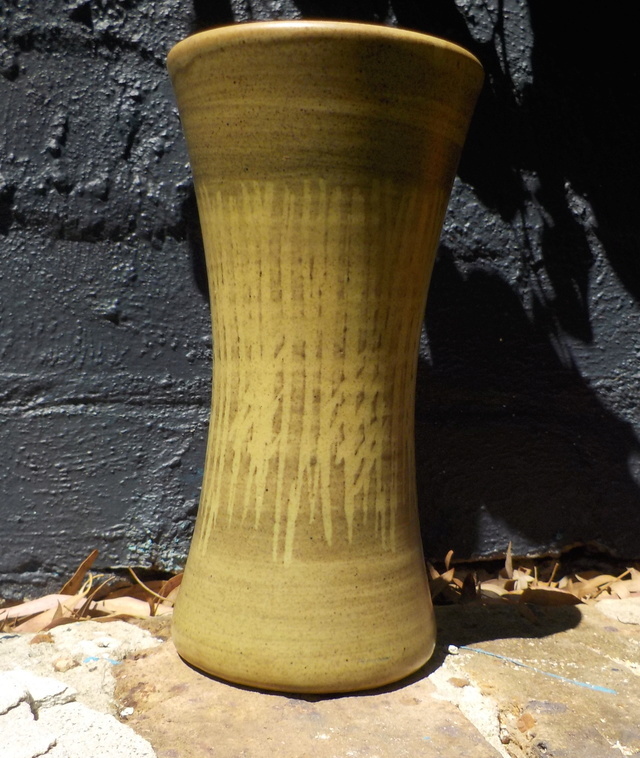 Simon Manchester has pointed out that ceramics is the only art form that was bringing creatives out to New Zealand during an early development phase of the profession/interest. At the same period that Hamada and Leach were visiting Australia they went to New Zealand. Potters moved across the Tasman often and also met in Europe. Chester Nealie and Mirek Smisek are good examples of people with significant influence in both countries.